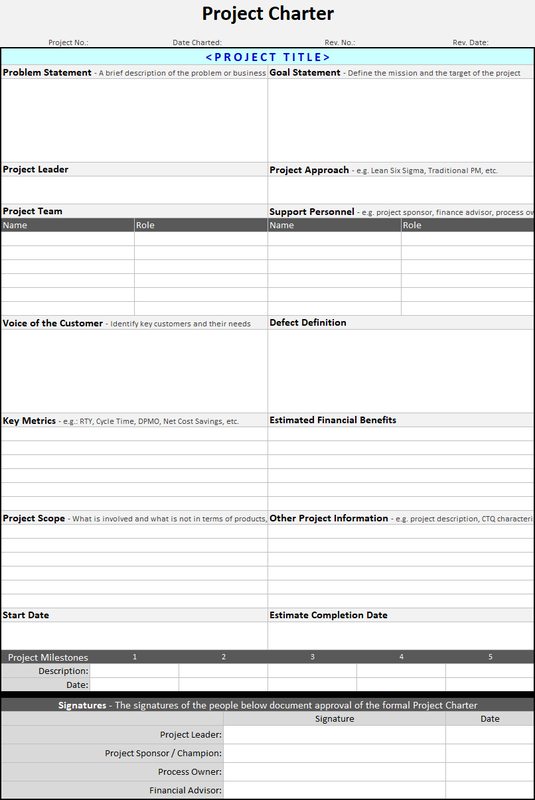 A Project Charter is a one page document that enables stakeholders to review the project and commit to support. It serves like a contract that helps the team to stay on track to achieve the goals of the project. 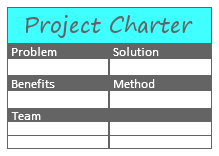 Project managers and leaders should ensure that the project implementation should not be started until the charter is authorized and signed off. 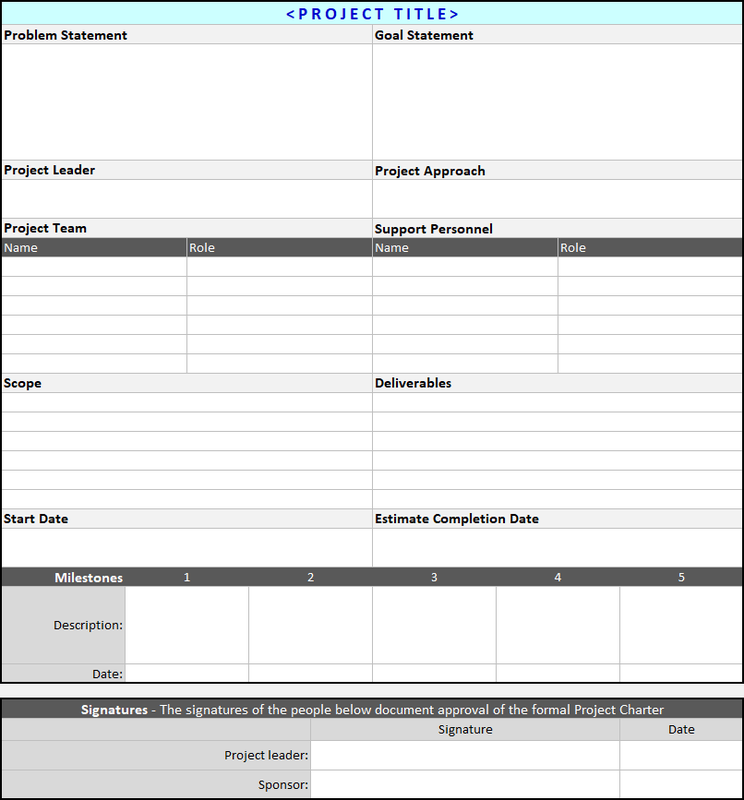 This project charter template is a Microsoft Excel document that you can use and modify to suit your specific project needs. It can be easily modified to include additional sections if needed. It comes in two different variations; one that is simple and another that asks for more detailed information. Please help us to make this template better by providing us with your comments or suggestions.